Consumer Confidence Lags in November. 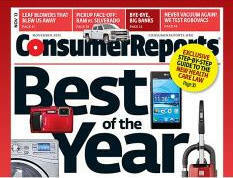 Consumer Reports Studies Features and Benefits of 26 Pre-Paid Cards. USAlliance Federal Credit Union Supports Consumers in Northeast USA. American Consumer Council Expands Its Regional Offices. Police & Fire Federal Credit Union Champions Consumer Loans. 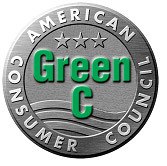 ACC’s Friend of the Consumer Award Recognizes Consumer-Friendly Companies. Apply for the 2013 Green CSM Certification Program. Consumer Confidence Lags in November. The Conference Board Consumer Confidence Index®, which had decreased sharply in October, declined again in November. The Index now stands at 70.4 (1985=100), down from 72.4 in October. 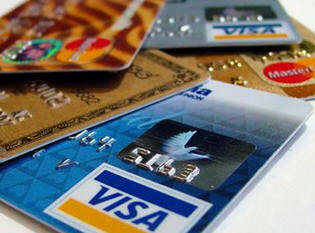 Consumer Reports Takes Closer Look at Prepaid Features and Fees of Credit Cards. 1. Value - How much they cost to use. 2. Convenience - Availability of in-network ATMs, bill pay features and how widely the card network brand is accepted. 3. Safety - Whether funds are protected with FDIC deposit insurance. 4. Clarity of Fees - How well fees are disclosed. Highest ranked cards are those like the ATIRA suite of prepaid cards TMG’s clients issue. They have fewer fees and make it easier for consumers to avoid them, carry FDIC insurance for each cardholder, offer features comparable to traditional checking accounts and do a better job of disclosing fees. Not surprisingly, the worst prepaid cards reviewed scored poorly in at least one, and sometimes several, of the above categories. All of the lowest ranked cards have “high, unavoidable fees, including activation and monthly fees.” Additionally, the lower scoring cards fail to make their fees clear and easy for consumers to access and understand. Specifically, the report found some prepaid cards fail to provide clear explanations of how to use features such as electronic payments, text alerts and mobile remote deposit capture, and the fees that may be charged for them. Further, while all of the cards reviewed claim to offer some form of protection for consumers, the report found these policies are often not clearly defined. Consumer Reports also found it problematic that although issuers provide safeguards voluntarily, they can cancel them at any time. Additionally, according to the report, fee information is often hard to find and difficult to understand. The report states this problem is “compounded by the lack of consistency with fee names and descriptions” from card to card, making it challenging for consumers to compare fees and costs. Consumer Reports also found that prepaid cards offered by some of the big banks are not necessarily less expensive than other prepaid cards. Also, these big bank offerings may be less attractive to consumers because they often don’t provide the option of making both electronic payments and payment by paper check. This is the first time Consumer Reports has evaluated and ranked prepaid cards, revealing a shift in the market for prepaid. As prepaid cards continue to grow in popularity, consumers are going to become savvier about which prepaid cards they purchase. Consider taking a closer look at this Consumer Report to determine how your financial institution’s (FI’s) prepaid offering measures up. Everyone has a financial dream, a goal they are determined to achieve. For some, it's sending their children to college; for others, it's buying the house they'll call home and still others, it's retiring early and comfortably. At USAlliance, we've connected to our members' dreams with the products and tools needed to help make those dreams a reality. We take to heart the fact that our name begins with "U". Because at USAlliance, it is all about you - our members! It's amazing how far we have come in so short a period of time. Just over forty years ago, we started as a credit union for IBM employees, literally based in the company's cafeteria. Today, USAlliance has over 50,000 world-wide members and assets in excess of $800 million. Our network of 16 branches covers an expansive area reaching from New Jersey to New York City to upstate New York to the greater Boston area in Massachusetts. What does the future hold? You’ll find a strong emphasis on the development and implementation of innovative electronic delivery channels, a natural trajectory for a institution founded by one of the world’s most renowned technology companies. American Consumer Council Add 7 New Regional Offices. The American Consumer Council (ACC) has complicated its 2013 regional office expansion by establishing seven offices in Georgia, Arkansas, Louisiana, Florida, Texas, Kentucky and South Carolina. ACC will also open offices in Massachusetts and the Pacific Northwest in 2014. ACC continues to operate its regional service centers in Newark, NJ; El Segundo, CA; and the Washington, DC area. 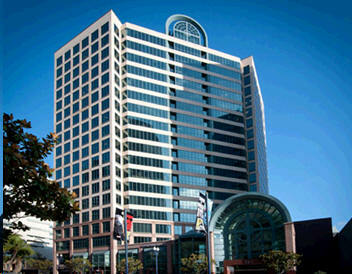 ACC is headquartered in San Diego, California. The Arkansas Consumer Council office will also serve as ACC’s Southern Regional office located at 10515 W. Markham Street, West Little Rock, AR 72205. The Maryland Consumer Council office will also serve as ACC’s Mid-Atlantic Regional office located at Metro Plaza II, 8403 Colesville Road, Suite 1100, Silver Spring, MD 20910. The Louisiana Consumer Council office will also host ACC’s South Central Regional office located at 3900 N. Causeway Blvd., Suite 1200, Metairie, Louisiana, 70002. The Texas Consumer Council office will also serve as ACC’s Southwest Regional office located at 9901 Interstate Highway 10 West, Suite 800, San Antonio, TX 78230. The Kentucky Consumer Council office will serve as ACC’s Appalachian Regional office located in The Paragon Centre at 2333 Alexandria Drive, Lexington, KY 40504. The Florida Consumer Council’s new office in Tampa will also serve as ACC’s Southeastern Regional office located at 8270 Woodland Center Blvd., Tampa, FL 33614. The Carolina Consumer Council, which serves both North Carolina and South Carolina, will also host ACC’s Coastal Regional office located at 1320 Main Street, Suite 300, Columbia, SC 29201. The Georgia Consumer Council will continue to serve the Greater Atlanta Region with offices located at 4555 Mansell Road, Suite 300, Alpharetta, GA, 30022. The California Consumer Council will continue to support ACC’s Southern California Region at 400 Continental Avenue, Suite 600, El Segundo, CA 90245. Since its inception in 1938 the Police & Fire Federal Credit Union has been serving its members in and around the Philadelphia, Pennsylvania area with exceptional financial products and great customer service. Currently led by John La Rosa, the Police & Fire FCU has grown its membership to over 202,274 with assets of more than $4,036,439,018. They have 443 full time employees and 88 part time employees with a main office and 10 branch offices. The Police & Fire offers its members a full service website that allows for true "Banking from Home" functionality. Users have the ability to apply for loans, get account balance and history reports, transfer money between accounts, make bill payments, and so much more. Members can also take advantage of a full array of loans including real estate, business and new and used car loans. Please see the credit unions website or contact them by phone at 215-931-0300 or email them at memberservice@pffcu.org to get exact details . How Do I Become A Member of PFFCU? Any member of the American Consumer Council is eligible to become a member of PFFCU. Also, any active or retired Philadelphia police officer or firefighter is eligible to become a member of the credit union. In addition, you can become a member of PFFCU if someone in your family belongs to PFFCU. Eligible family members include: parents, grandparents, sisters, brothers and children of a member. You can also become a member of PFFCU if you work for one of the businesses offering PFFCU membership as a benefit. 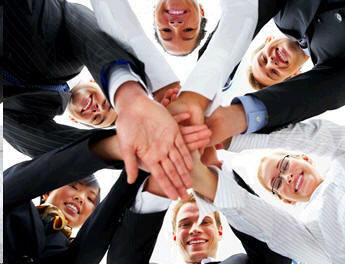 There are also a number of associations and organizations that offer membership in PFFCU to their members. If your employer or organization is not currently listed, please contact one of PFFCU’s Business Development Managers about membership. For information about why your group or organization should offer membership in PFFCU as a FREE benefit, please see the “PFFCU Membership for Your Organization” section below. Your online application will be reviewed within one business day and upon approval, PFFCU will send a copy of the application to you for your signature. Your initial deposit will be debited from your existing account and credited into your new PFFCU account within two to five business days. If you require assistance completing this online application, or if you wish to apply via the phone, you may call PFFCU at (215) 931-0300 or (800) 228-8801. You may also come into any of our branch locations and apply in person. Member applicants wishing to apply for a Trust or Business Account must visit a branch. Employers and organizations can offer PFFCU membership as part of the benefits package provided to their employees and members. And, unlike most benefits, offering PFFCU membership is FREE! It's an easy and effective way to enhance your existing employee benefits package at no additional expense. If your organization is interested in offering PFFCU membership as a benefit, please contact one of our Business Development Managers to request information or schedule a time for us to visit you. To become a PFFCU Partner Organization, simply send us a letter indicating your interest in offering credit union membership. For your convenience, a template of this letter is available online. This letter should be printed on your organization's letterhead, and signed by someone authorized to make employee benefits decisions, such as a benefits manager, human resources manager, etc. To help the government fight the funding of terrorism and money laundering activities, federal law requires all financial institutions to obtain, verify and record information that identifies each person who opens an account. What this means for you: When you open an account, PFFCU will ask for your name, address, date of birth and other information that will allow us to identify you. We may also ask to see your driver’s license and other identifying documents. PFFCU Member Survey Results are Outstanding! Consider how members rated the various services of PFFCU. The customer satisfaction scores are outstanding! PFFCU members consistently rate PFFCU Exceptional or Superior in our consumer and real estate lending process and this is why members keep coming back to PFFCU. We continually survey our members to ensure satisfaction and we post these results quarterly. Our most recent surveys were mailed to members who were approved for PFFCU loan products during the period of May 2012 through July 2012. 99% would recommend PFFCU to other members for their Real Estate Lending needs.94% rated PFFCU’s service as Exceptional or Superior in the overall Real Estate Lending process. PFFCU takes pride in knowing they have developed strong relationships with their 200,000+ membership, and PFFCU continues to remain a leader in member service in the financial services industry. Thank you for your support! ACC’s Friend of the Consumer Award Recognizes Deserving Companies. Is your company or organization a Friend of the Consumer? Are your policies and corporate practices winning the hearts, minds and wallets of customers? If so, you should apply for The American Consumer Council’s prestigious Friend of the Consumer Award. If so, the Friend of the Consumer Award is right for you! Throughout the year, the American Consumer Council receives numerous applications from companies and organizations seeking to be recognized for their commitment to consumers and providing consumer-friendly products and services. To apply for the Friend of the Consumer Award, complete the online application and return it to ACC with the application fee. Applicants will be notified within 5 days of receipt of their application. Thereafter, a panel of independent judges will review your application and make a formal recommendation within 45 days of receipt of your award application. If your company or organization would like to increase its credibility with consumers, you should consider applying for the Green CSM Certification. 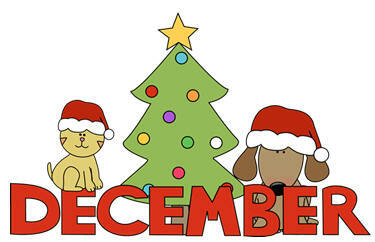 Applications for the 2013 Winter cycle are now being accepted through December 13, 2013. It's a proven fact that consumers want to do business with companies that are eco-friendly and practice Corporate Social Responsibility (CSR). The process is straight-forward and all applicants are recognized by ACC and the Green USA Institute.